There is a story behind water and the journey to get it. Every drop has the capacity to give life and nourishment. But untreated water has the power to devastate life, making it unbearable. 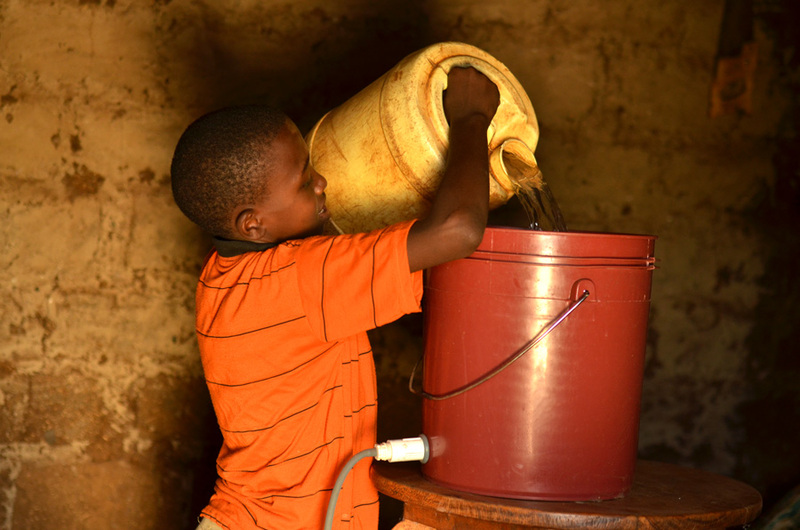 For Eric in Kenya, the daily chore of collecting contaminated water for his family to drink was causing horrendous sickness and stealing his childhood. 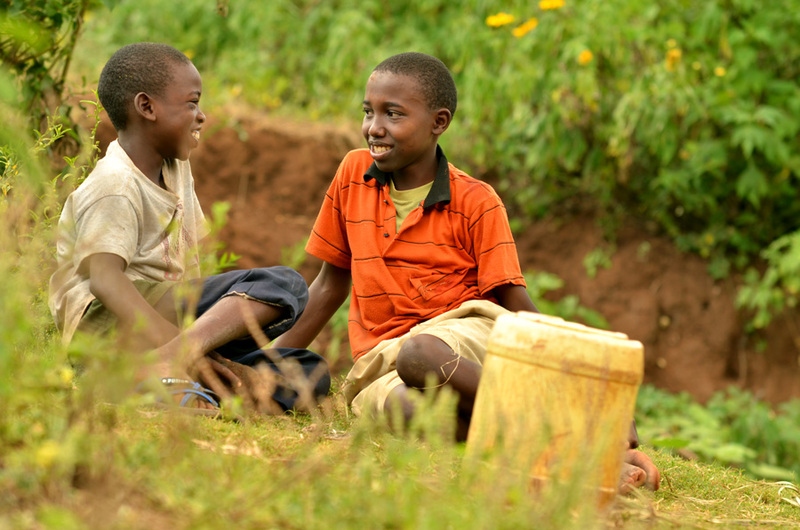 Thirteen-year-old Eric lives with his family in the Kenyan village of Miomponi, Tharaka Country, where rainfall is scarce and the dams dry up within weeks. According to the Kenyan Humanitarian Response, it is estimated that more than 90 per cent of households in this area drink untreated water. Cows, goats, and donkeys make use of the same streams where women wash their clothes, children bathe, and families collect water for household use. 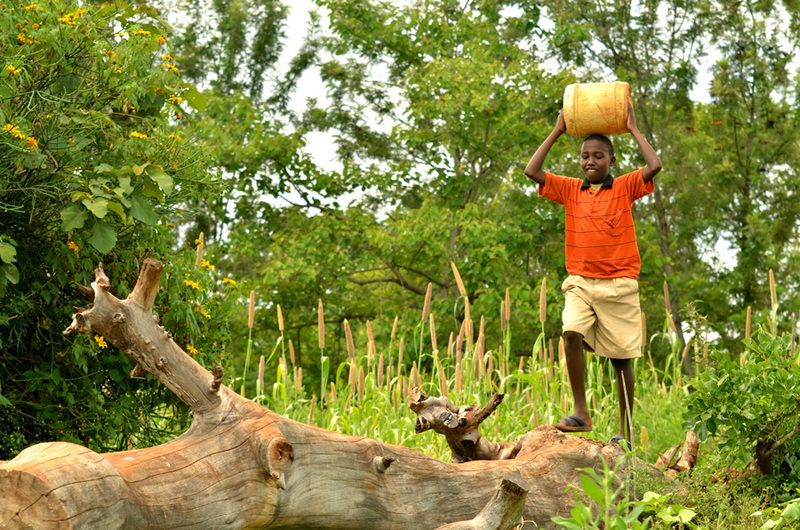 Eric, who lives with his parents and younger sister, has the responsibility of collecting water from the river. He makes the journey three times a day, carrying a 20-litre jerry can, in order to have enough water for domestic use. He skips down the trail that leads to the river and makes an adventure of his trip, taking detours to chase the colorful grasshoppers and butterflies. There’s a buzz of life after the short rains, and Eric doesn’t want to miss out on any of it. 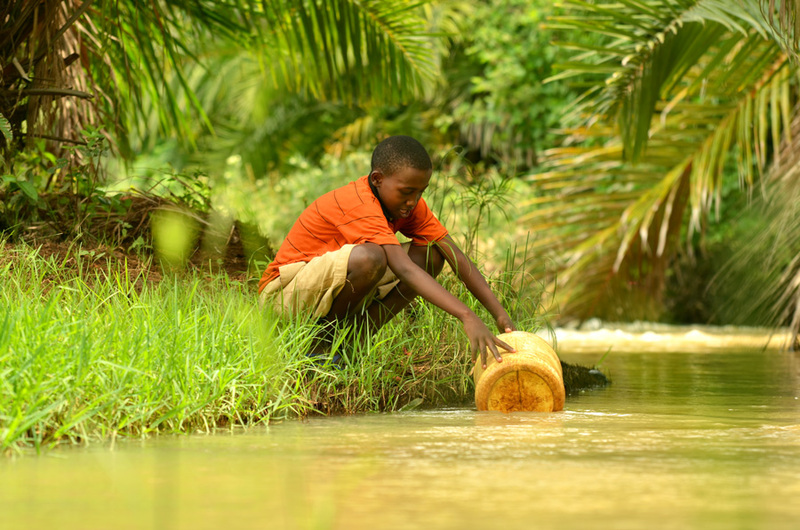 While this stream provides for the water needs of the community, it is also the source of many waterborne illnesses. Eric suffered terrible typhoid due to drinking the untreated water and although each of his family members experienced waterborne illnesses, the recurring stomach infections caused by typhoid meant Eric had to stay at home, missing out on school and his boyhood adventures. He’s endured awful nights of vomiting, drenching his mattress with sweat and tears. Nduta, Eric’s mother, remembers the nights she stayed up with him. Nduta and her husband took turns taking Eric to hospital, often missing out on their work and daily wages. Eric was also lagging behind in school. Once a top 10 student in his class, Eric dropped to 25th, leaving him devastated. Eric didn’t enjoy much of his holidays. He spent most of his time in the house, and not even the exuberant shouts of his soccer mates could tempt him to leave his home. But now, this journey to water has a very different ending. A year ago, Compassion acquired and distributed Sawyer water filters to four regions around Tharaka, in order to provide clean water to 14,000 households. 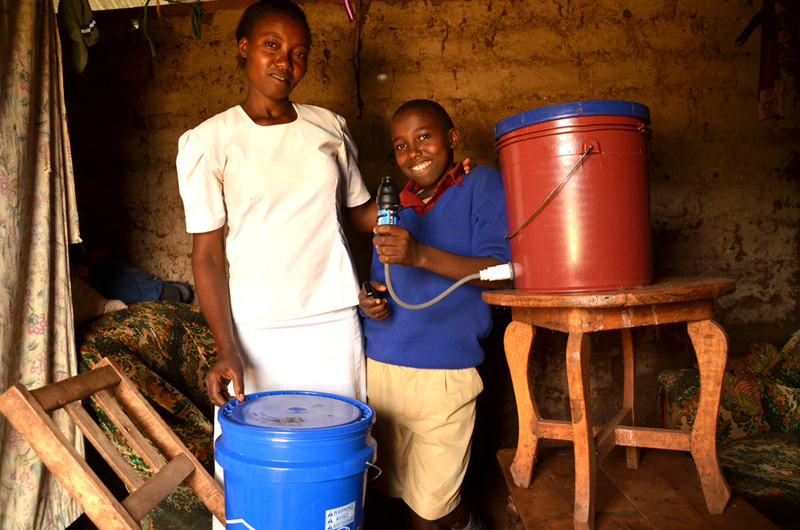 Eric and his family had a fresh start once the water filter was installed in their home. Now the dirty water from the river is funnelled through the filter, making it safe for drinking. 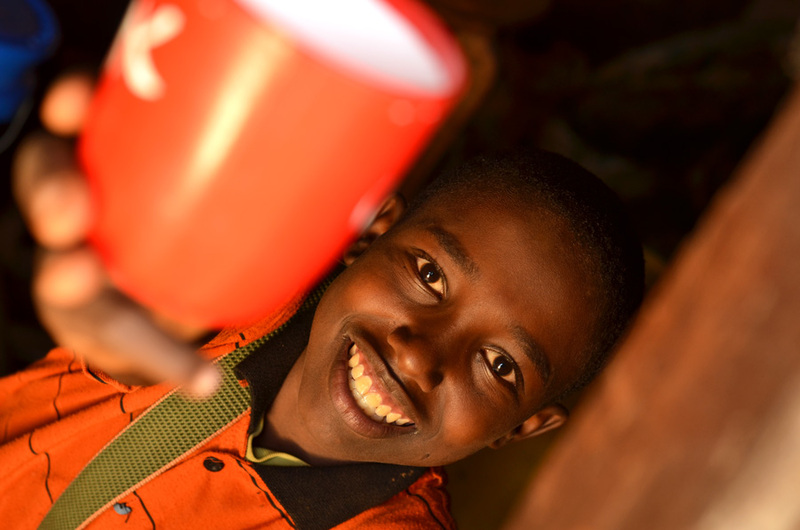 Nduta says when they tried the filter for the first time, the entire family was amazed. Nduta gently rubs Eric’s head and draws him towards her side. The family is now less afraid of high costs of fuel for boiling water and the sleepless nights they had to withstand. Today, Eric is an energetic young boy and his big, white smile radiates health and happiness. He jumps outside the house with a spring in his step; there is no more missing out on playing football with his friends. For Eric, the journey to water is no longer one that will end in despair, sleepless nights and disease. Thanks to Compassion, water has returned to being what it is designed to be—a source of life.